The latest GRESB Real Estate Assessment shows the European real estate sector continues to leave Asia and other regions trailing in its wake in sustainability performance measures. The findings do suggest the sustainability performance of the global real estate sector has increased as a whole. The global average GRESB Score increased again, reaching 68 (out of 100), with listed entities retaining their lead over the private sector. Increases were seen across all regions: Asia, Europe, North America and Australia/NZ. These results are of value to Asian investors as some analysts believe the importance of these benchmark assessments will grow in stature as investors increasingly place a premium on Environmental, Social and Governance (EGG) performance standards. Working in collaboration with the industry, GRESB measures the standard for sustainability performance in real assets, providing standardized and validated ESG data to more than 75 institutional investors, representing over US$18 trillion in institutional capital. In 2018, a record 903 property companies, funds and developers participated in the GRESB Real Estate Assessment covering more than 79,000 assets across 64 countries. This highlights the increasing transparency and measurement of ESG performance across the global real estate sector. Adding the Public Disclosure Dataset, GRESB has full coverage of the major listed real estate indices. Notable in this year's benchmark is the increased asset-level reporting on ESG data by more real estate companies and funds than ever before. 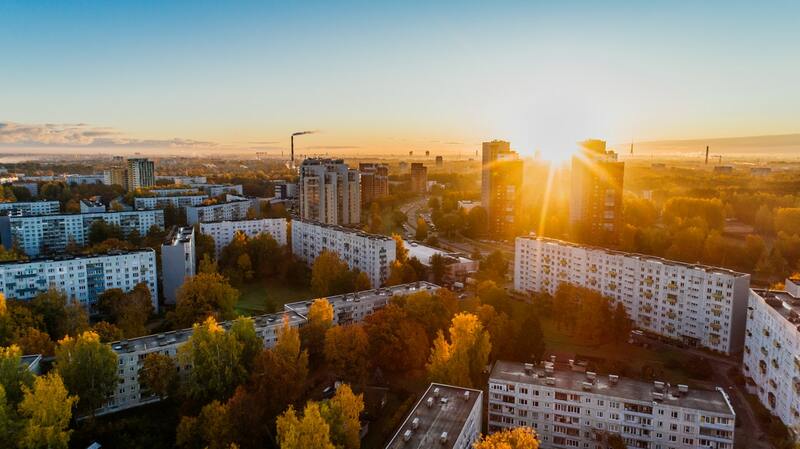 Close to 50,000 assets were reported at the asset level, more than doubling the 2017 number and giving an unrivalled set of detailed ESG data and insights for the real estate investment market. "The high levels of reporting in Europe, together with the increase in GRESB scores, shows a region delivering ESG transparency at scale. With more European and global investors placing real value on ESG insights, the importance of comparable insights and benchmarks is set to grow further." says Roxana Isaiu, GRESB Director Real Estate. "The 2018 GRESB results are proving that expectations have fundamentally changed in the real asset sector and investors are increasingly asking for greater transparency about the ESG performance of real asset portfolios," comments Mahesh Ramanujam, chairman, GRESB Board of Directors, and president & CEO, Green Business Certification Inc. (GBCI). "We are pleased by the continued increase in participation this year as it is clear that ESG is gaining prominence and becoming common practice. We congratulate all participants in the 2018 Assessments for the critical role they are playing in creating a world with more sustainable buildings and infrastructure," adds Ramanujam.